These wonderfully, colorful mermaids make a marvelous splash! 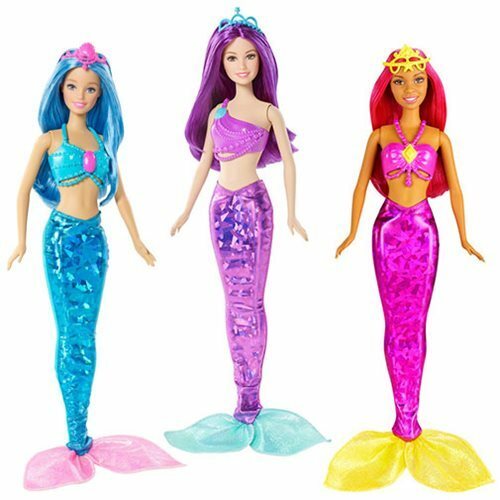 Each Barbie Fairytale Mermaid Doll features gorgeously decorated tails, detailed accents, removable bodices, and colorful hair! Each mermaid doll also comes with a unique colorful theme and feature matching accessories! Collect them all to create your fairytale fun with the Barbie Fairytale Mermaid Dolls! Ages 3 and up.